Wherever you are in your product design process, we can help. Whether you are just starting a new project or getting ready to launch full-scale production, we can meet you anywhere in your development process to help improve your products while decreasing costs and production time. We work with everything from prototype-ready CAD models to sketches on napkins to help you quickly develop high-quality parts and products. Our experienced team of engineers will analyze every stage of the development process to ensure that you have the best solution possible to meet the unique needs of your project. Additionally, by designing your product from the ground up, we can help you get the most benefit from our advanced manufacturing services. Accelerate your speed to market. Quickly iterate prototypes and tooling to maximize opportunities for testing and refinement. Optimize your production with design for manufacturing. Find the best technologies and materials for your needs. Request a quote with our Quick Quote tool or by giving us a call. Our engineers will review your project and send you a price in 24 hours or less. Or, check out some of our past projects and read what our customers have to say about working with RapidMade! To begin our product design process, we study your concept with a particular focus on your goals for the product, your budget and your production schedule. We then conduct in-depth market research and draft 2D concept renderings of your design. This information is used to create detailed 3D models of your product and, when appropriate, a 3D printed conceptual prototype. Once you approve the concept designs, we’ll select preliminary manufacturing technologies and materials as we develop your proof of concept. Using the principles of design for manufacturing, we’ll work to optimize your product and its manufacturing process to improve efficiency and reduce costs. At this stage, we will begin iterating semi-functional rapid prototypes to test and refine your design. For the final stage of development, we’ll prepare fully-functional prototypes and manufacturing-ready 3D models, as well as any custom tooling your production may require. We will also source vendors for any hardware or other off-the-shelf parts. At the end of the product design process, you will have everything you need to move into manufacturing, either with RapidMade or with a third party. For 3D printing and other digital manufacturing technologies, a CAD model is essential to developing and manufacturing your product. Even when it’s not necessary, however, a detailed 3D model is an excellent tool for communicating your concept, refining your design or producing a rapid prototype. We provide CAD and 3D modeling services for ideation, proof of concept, prototyping and manufacturing. CAD and 3D modeling are available both as part of our product design services and also as standalone services. We’ll help you get the most out of your product development process with our rapid prototyping services. 3D printed rapid prototypes are quick and inexpensive to make, allowing you more opportunities to refine and test your design. 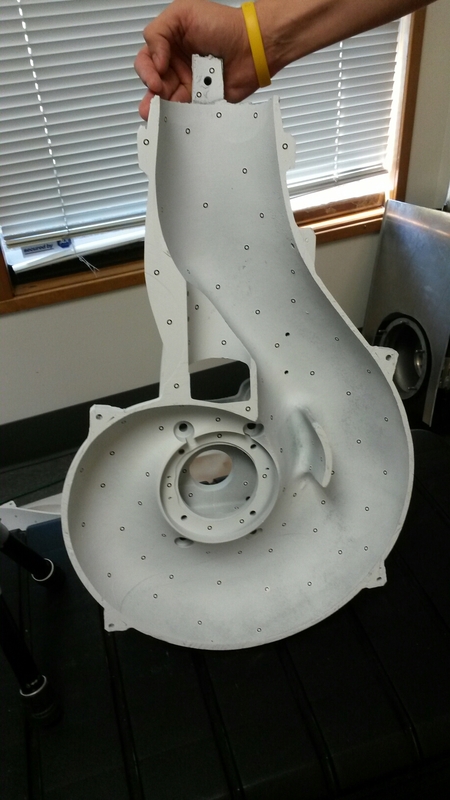 Our plastic rapid prototypes are durable and accurate enough to test form and fit for machined parts. And, because 3D printing is able to rapidly produce molds and other tooling, it makes it possible to prototype vacuum thermoformed or injection molded parts faster than ever. Design for manufacturing (DFM) describes an approach to product development which focuses on minimizing manufacturing costs and time. While there are some general DFM principals, most DFM guidelines are specific to each manufacturing technology. Generally, DFM aims to design parts such that they can be manufactured with as little setup and manual intervention as possible. Depending upon the technology in question, this can involve part shape, orientation and layout. Because 3D printing is able to achieve designs that would be prohibitively expensive or impossible with traditional manufacturing, design for additive manufacturing (DFAM) frequently involves rethinking the foundational principles of design. DFAM can produce innovative solutions that substantially reduce part cost, improve functionality and combine multi-part assemblies into single parts. With our additive manufacturing expertise, we can help you design your part or product to get the most benefit from 3D printing. Once your product design is complete, you can get your production up and running fast with our integrated manufacturing services. Save time and expense by simplifying your supply chain and eliminating the need to ship your products from one step to the next. With our robust custom finishing options and add-on services like assembly and certification, you can manufacture finished consumer products and industrial-grade parts all in one place. If you have any adjustments or need to order additional parts, there’s only one place you need to contact. If your part or product requires any hardware, specialty materials or additional manufacturing, we can source it for you. We deploy our large network of manufacturing relationships to get you the best value on reliable, high-quality sourcing. Our sourcing services will make sure you have everything you need to move into production when you are ready.